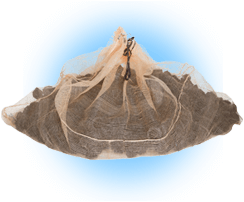 Bionet is a perfect method of securing and installing the plastic random filter media in situ. Designed for municipal and package sewage plants BioNet is ideal for random media filtration control for water processing. BioNet has major long term health and safety benefits for staff both for initial installation and for longer term maintenance.